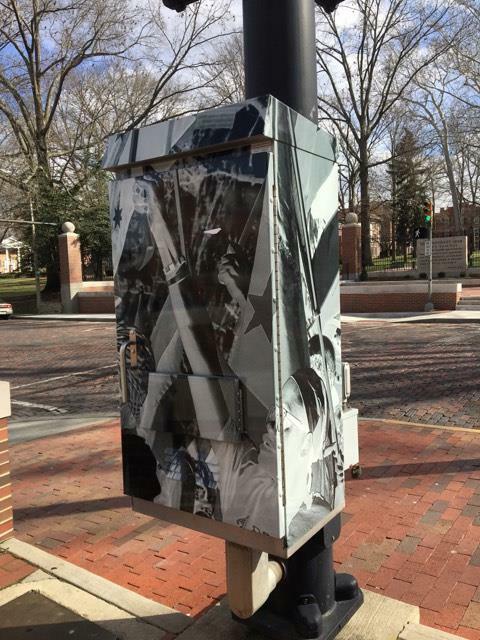 The City of Athens featured photographs from two Athens Photo Project artists, Chris Leonard and Karen Renee, on uptown traffic boxes. We asked each artist about the experience. What was the process of applying to the city like? The application process was a bit frustrating, my photo had to be re-sized just so and that’s not one of my skills. Thankfully an instructor in APP (Josh) helped me with that. I did not have 24/7 internet access so that made it difficult to submit. How did it feel to get selected? It felt very good to be selected! It felt even better when I saw where they put it: Court St. Lots of pedestrian traffic. How does having the image uptown change your perception of the photograph, if at all? My perception of the photo has not really changed now that it’s up. I’ve looked at it for a few years now. Its bisection is a bit disappointing. Anything else you would like to say about it? I kind of wish they’d put my name on it. It’s too anonymous right now and I kind of wish they’d put up a small original of the photo as well, so people could see it in its entirety. In the grander scheme of things, I really can’t complain. What was the process of applying to the city like? The process to apply was very simple, thanks to all the help from our teacher, Josh. All we really had to was choose our image, give a description and title, and if I recall, fill out a brief application. APP was awesome and did the rest of the legwork. How did it feel to get selected? I have to admit that it was exciting to know that your work will be part of a project designed to enhance and beautify our city. 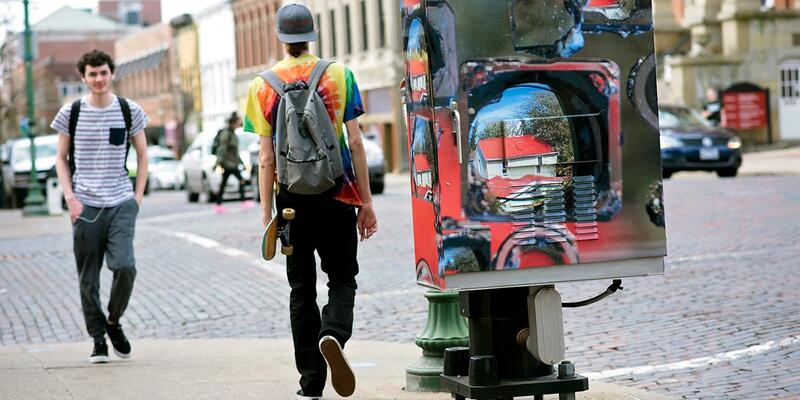 I like to walk by the box where my art is, because it makes me smile! I hope that others in the community mind find some enjoyment from it also. Really, that is what makes it so wonderful in my opinion, is the fact that I feel that I have contributed something meaningful to my city, and my community. How does having the image uptown change your perception of the photograph, if at all? I would love the photograph even if it was not downtown, giving new life to an ugly, grey box! Even so, the fact that my photo has the honor of fulfilling the purpose of dressing up ugly utility boxes gives me a sense satisfaction. Otherwise, this image might be buried in my digital archives, never to be shared with anyone. So, it’s great! Anything else you would like to say about it? 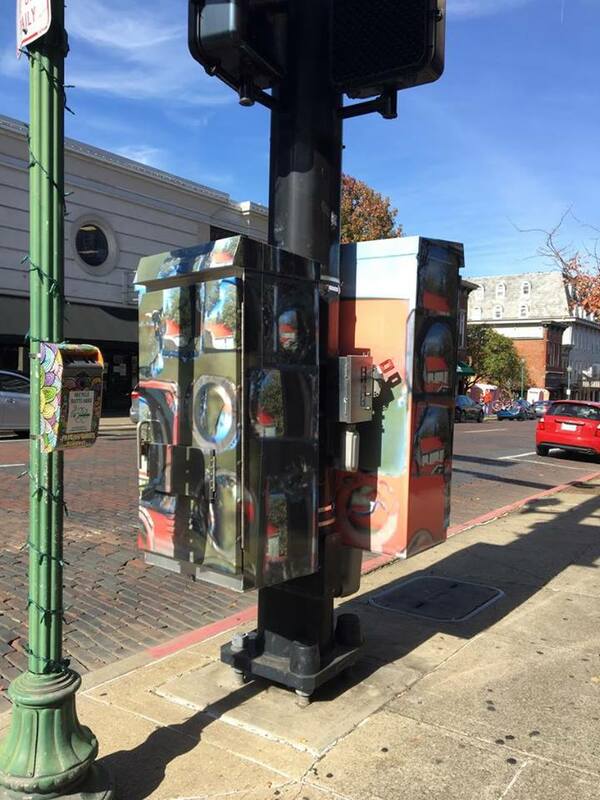 I really think it is a wonderful that Athens is taking the initiative to enhance and uplift our city with art, and it is even more wonderful that members of the community are the ones who are contributing to the project, instead of an independent artist. It offers those who have contributed a sense of pride and belonging. Even if no one else knows it’s my box, I know, and it gives me a sense of fulfillment, pride and honor to have been part of the project. "I love photography. It lets me express and show just how I feel. It also helps me take my mind off worry and gets me thinking in a different direction. When I catch myself getting upset about something out the door, I go and start shooting (pictures, that is). My family and friends all love my work, even though some run from me when they see me coming with a camera."